two crazy awesome things were delivered to our doorstep this week! 1st, my brand spanking new replacement Samsung S6 edge (i beat the first one up so bad... too ashamed to post the proof). YAY for finally being able to exit my Periscope broadcasts correctly, ha! my screen was so shattered i could never press the dang STOP button, smh. 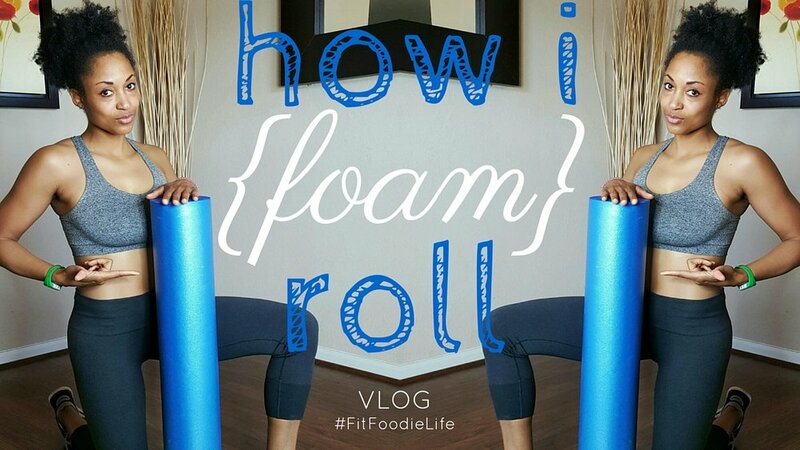 2nd, our foam rollerrrrr. both of them were long overdue. i let Chiso guess the contents of the box first before we cracked it open... not even close, lol. after foam rolling religiously in the days following my half marathon earlier this month, recovery was a bajillion times better than my first half a few years ago. LOADS better. my hamstrings basically hated me one day post race but 48 hours later i was teaching my HIIT class at full strength again. hence the need for this purchase. please be sure to SUBSCRIBE to my YouTube channel for more! the Precor StrechTrainer. does your gym have them? i sure do hope so! get your preventative maintenance on. i love that illustrations of the different stretches are positioned right in front of you on the machine's 'dash board', if you will. i do about 5-7 minutes of a combo of the moves above after every workout. happy stretching! Q: moment of truth....how often do you stretch before or after your workout?